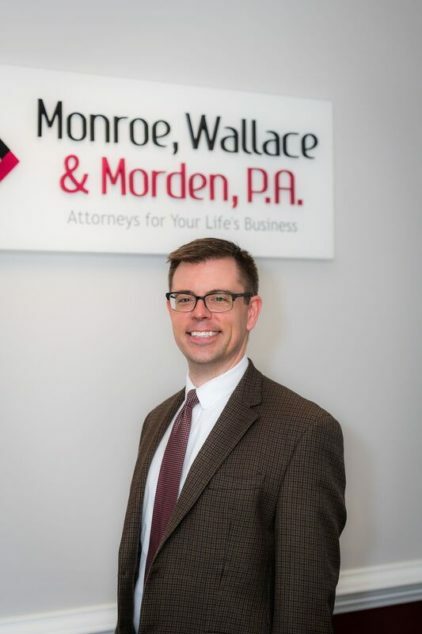 Chris Morden assists clients with developing and implementing an estate plan tailored to their needs and objectives. He works with clients to learn and understand their individual circumstances before preparing documents to fit their needs. And once the plan is determined, Chris works with clients to ensure all their assets are structured in a manner consistent with the plan. Chris counsels clients on their roles and responsibilities as executors or administrators of estates, trustees of trusts, or guardians of minor children or incompetent adults. He helps clients serving in one or more of these capacities to navigate the requirements of the local clerk of court and state and federal governments. Chris also assists clients with various business law matters. He advises clients regarding organizing new businesses and counsels owners of existing businesses on a variety of the issues encountered on a daily basis.